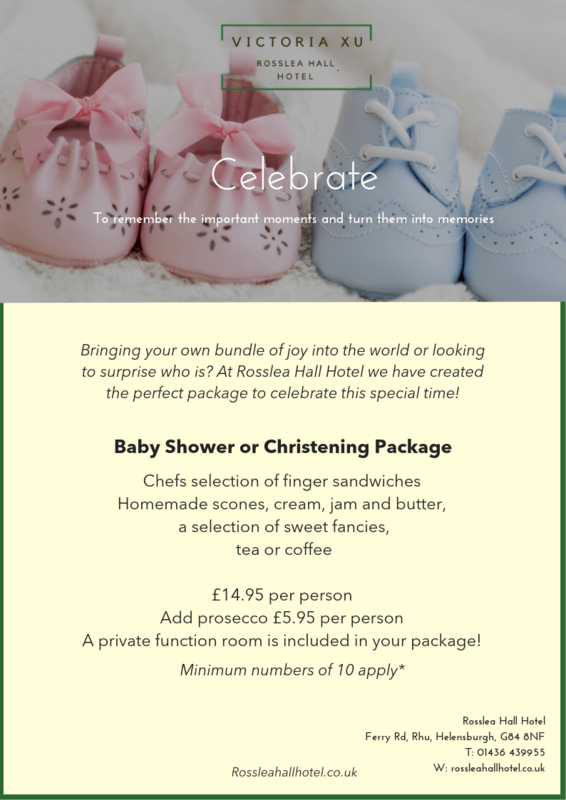 Rosslea Hall Hotel is the perfect place to celebrate this special occasion. Set in picturesque surroundings with views over the Firth of Clyde and beautiful gardens, which are perfect for family photos. We have two function suites which hold up to 120 guests, Argyll and Walkinshaw, complimentary parking and a menu to caterer to everyone\s needs. Call 01436 439955 to speak to our team.